Everybody Talks Smack About The Weather, But Why? Weather seems to have become one of our mortal enemies. We battle the blazing sun, run from the rain and hunker down when it snows. Maybe it's time to recalibrate our attitudes. Everybody Talks Smack About The Weather; Why? Have you noticed that more and more we talk about weather like it's an enemy combatant? We speak of attacking tornadoes, deadly winds, killing frosts, sinister clouds. We treat heat waves like crime waves, storm threats like terrorist threats. -- A Weather Channel forecaster speaks of an October storm front as a "disturbance moving its way through the Ohio Valley ... even sneaking toward Pittsburgh." -- A recent news release from Environment Massachusetts speaks of "a summer that saw many parts of the country hit by record heat, severe storms and damaging floods." Extreme weather such as "2010's devastating spring floods," said spokesman Charlie Keller, "causes big problems for ... our public safety." -- And AccuWeather's top long-range forecaster says that while the East Coast of the United States may not see as many monster snowstorms as last year, much of the nation will be in a "Wintry Battle Zone" during the 2010-11 season. To be sure, forecasters often hype up the bad weather just to get us to stay tuned. But Heidi Cullen says we have good reason to be talking smack about today's weather. Cullen, a former Weather Channel climatologist and author of the just published The Weather of the Future: Heat Waves, Extreme Storms and Other Scenes From a Climate-Changed Planet, thinks the Earth's climate is going through dramatic change. "We have observed a shift toward more extreme heat and heavy rainfall events," says Cullen, who is now head of Climate Central, a nonprofit that analyzes and issues reports on climate science, "and these observations are consistent with what we would expect from a warmer world." To underscore her point, she uses a boxing analogy. "Weather is the fighter" and "climate is the trainer -- teaching the boxer how to throw stronger, faster punches." For example, she says, there has been a 67 percent increase in very heavy rainfall events in the Northeast since 1958. Another reason that weather poses more dangers than in the past, Cullen says, is that there are more people living in harm's way -- especially in cities and along the coastlines. She sees worsening weather as a manifestation of global warming. "Until now," she writes in her book, "we've been able to view extreme weather like flooding as an act of God. But science tells us that, owing to climate change ... floods will happen more often and we need to be prepared for them." 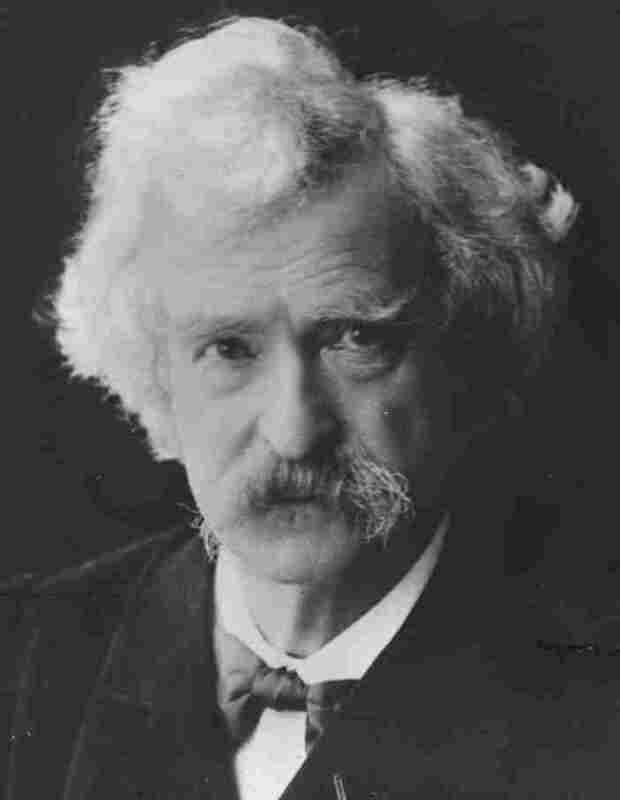 Everyone talks about the weather, Mark Twain said, and nobody does anything about it. Cullen believes we have the chance to do something about the weather. 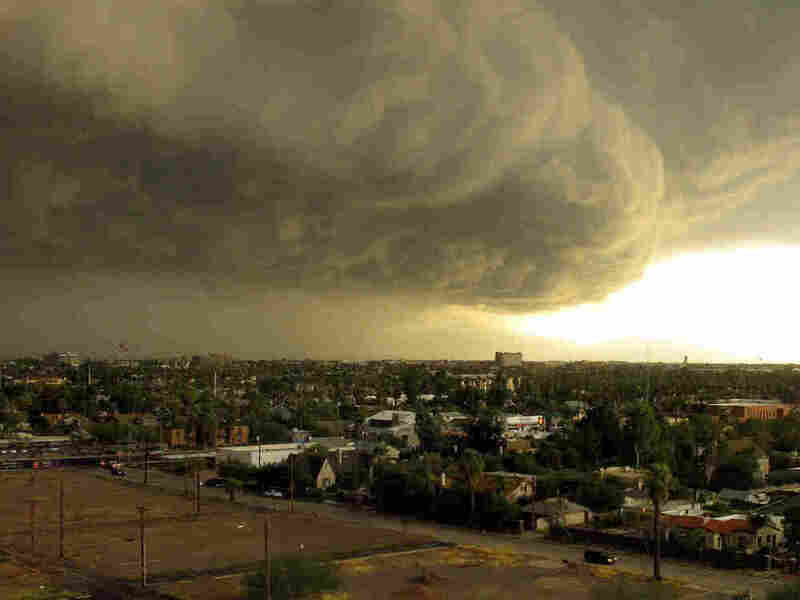 The future of weather, she says, "is ultimately in our hands. And the situation is urgent because the longer we wait, the more climate change works its way into the weather, and once it's in the weather, it's there for good." Mike Clay, a forecaster for the Bay News 9 television station in Tampa Bay, says he isn't so sure that climate change is behind Florida's harsh weather. But even though Clay told The St. Petersburg Times that he is skeptical about global warming, he still uses the language of war when talking about the elements. — "Everybody talks about the weather, but nobody does anything about it." — "It is best to read the weather forecast before we pray for rain." — "Cold! If the thermometer had been an inch longer we'd all have frozen to death." — "Winter is begun here, now, I suppose. It blew part of the hair off the dog yesterday and got the rest this morning." — "In India, 'cold weather' is merely a conventional phrase and has come into use through the necessity of having some way to distinguish between weather which will melt a brass door-knob and weather which will only make it mushy." "Month after month I lay up my hate and grudge against the New England weather; but when the ice storm comes at last, I say: 'There, I forgive you, now; the books are square between us; you don't owe me a cent; go, and sin no more; your little faults and foibles count for nothing; you are the most enchanting weather in the world!' "
Sources: TwainQuotes.com and The Mark Twain House & Museum. Clay writes on the station's website that when wicked weather looms, viewers should remember the acronym D.U.C.K. "For safety," he advises, "we should make sure that we are 'D'ownstairs, 'U'nder covers or blankets, you should 'C'over your head, and 'K'eep away from windows." It's all reminiscent of the government's "What to Do in Case of a Nuclear Attack" campaign from the 1950s. One company, WeatherBill, offers weather insurance to farmers, event organizers, ski slope operators and others whose livelihood depends on certain weather. "Get paid if bad weather happens," promises the site, which was founded by former members of the Google team. The site speaks of "weather perils", "losses caused by Mother Nature" and "freezing fall temperatures [that] can devastate immature crops, destroying previously healthy yields." Damn the tornadoes; full speed ahead. Bad weather can be good: Treacherous winds drive windmills. There are upsides to downpours: Torrential rains fill rivers and water tables. Heat can be cool: Intense sun splashes on solar panels. Humans' war against weather has reached notably new levels, Balzar says. As illustration, he tells of a friend who has a car that is equipped with dual climate control. "The driver and the passenger can each set his or her side of the vehicle at different temperatures, according to preference," Balzar says. "The one thing that is not allowed ... is to turn off the climate control and lower the window to enjoy the air outside." Rather than exhausting enormous amounts of energy and resources waging war against weather, Balzar suggests "recalibrating our attitudes." For instance, who says we have to wear business suits in warm weather? "My most memorable weather moment of 2010," Balzar says, "was breaking out my Alaska parka and my mountain camp stove and brewing coffee in my driveway during Snowmageddon. We had no electrical power for five days. The streets went unplowed for most of a week. My phone battery went dead." And that was a good moment? "The coffee," Balzar says, "never tasted better."